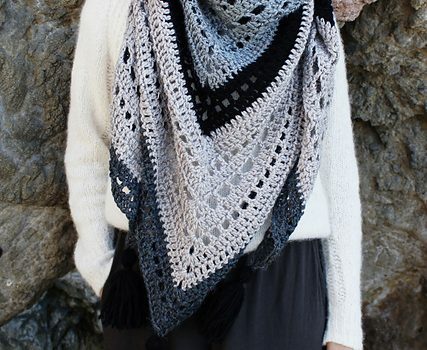 With a light and airy deign, this wrap is drapey and rich looking and provides the perfect amount of warmth for a cold morning or evening. Which makes it perfect for this season when the weather is so undecided. Some days are rainy, some days are cold, some days are really warm and colorful and make us all feel relaxed and dreamy. 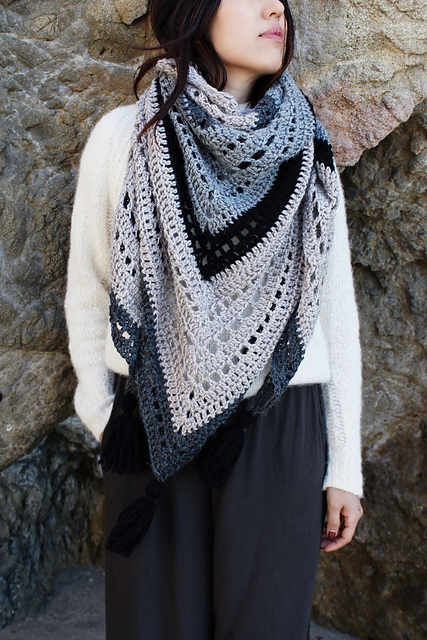 Mystic Morning Wrap by Alexandra Tavel is an easy level crochet pattern that’s useful and beautifully textured and also easy enough for anyone to make. Thanks to Alexandra Tavel for the article inspiration and featured image. I absolutely love this. I can’t crochet any more as I have an issue with my arm that needs surgery. It will be quite a while after the surgery that I can start using a hook again. Don’t take it for granted Gerri Waldron Quiñones you do absolutely beautiful work.